More / Book of the Month / The Bible TV Mini-Series (2013) "Viewer discretion is advised." The Bible TV Mini-Series (2013) "Viewer discretion is advised." Click the IssuesEtc banner below to hear the radio interview. The BibleTV Mini-Series(2013) Directed by:Crispin Reece, Tony Mitchell, Christopher SpencerWritten by: Nic Young, Christopher Spencer, Colin Swash, Alexander Marengo Produced by:Richard Bedser, Mark Burnett, Roma Downey, Alex Dwiar Starring:Diogo Morgado,Keith David, Gary Oliver, Hugo Rossi, see full cast list at imbd.com Rating: MPPA TV RATE PG violence, intense images, peril and some brief sexuality, Runtime:10-hour in five-parts. As might be expected, Lutherans are keen on the Bible. Our churches read aloud from the Scriptures every week during worship. In those same services our pastors preach sermons based on the readings for the day. 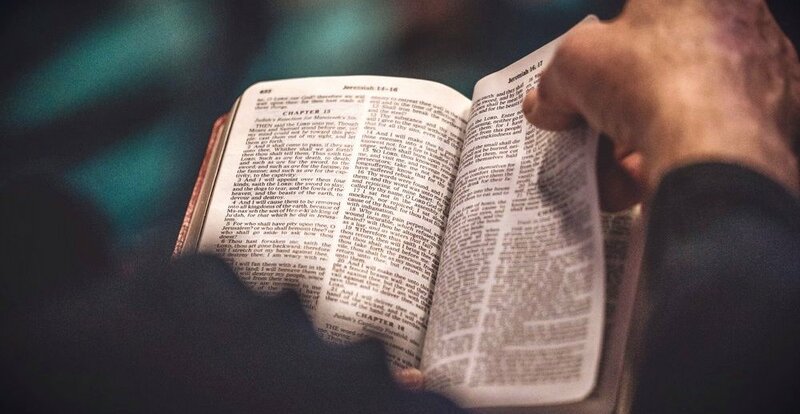 We encourage our members to read their Bibles in personal devotions, and to attend Bible studies at our churches so that they can grow in their knowledge of God’s Word. Helping people know the Scriptures better is the goal behind Mark Burnett and his wife Roma Downey’s new television adaptation of the Bible for the History Channel. In a recent interview, Burnett says he believes there's a growing "Biblical illiteracy" among young people. It is admirable that someone would want to tackle that problem, not just among young people but among all people. That warning—to use your discretion—is good advice. The best advice is to watch this programme with your Bible next to you. Use your Christian discretion, your gift of discernment, while you watch. Or, if this is not a strength of yours, turn to a fellow Christian with this gift. Jesus talks about the need for discernment in Matthew 24: “See that no one leads you astray,” He tells his disciples. “For many will come in my name, saying, ‘I am the Christ,’ and they will lead many astray.” Discernment then is about being able to look at something and tell if it’s accurate or not, if it’s true or not, if it’s genuine or not. St. Peter tells us that we should “always [be] prepared to make a defense to anyone who asks you for a reason for the hope that is in you.” One way to be prepared is to know your Bible and know it well. When your co-workers say, “I was watching that Bible thing on TV last night,” you will be a help and a benefit to them if you’ve both watched the episode and followed that up with careful reading of the biblical passages it was based on. Just be sure to bring the conversation back around to “the hope that is in you.” That hope is Jesus. What does this mean? It means that no matter what part of the Bible you find yourself in, it will be about Jesus. This is an important detail to consider as you watch the Bible miniseries; every part of the show should be about Jesus. Keeping this in mind,let’s look at a familiar Bible story that appears in the first episode of the series. In “Beginnings,” Abraham and Sarah give birth to a son they name Isaac, despite their advanced age. Isaac came as the realization of God’s promise to Abraham that his descendants would be as numerous as the stars of the night sky. But as the Scriptures continue, God commands Abraham to sacrifice this special son Isaac; you can read the story in Genesis 22:1-18. In the new television series, when asked by an inaudible voice to sacrifice his son, Abraham replies: “Sacrifice? No, no! Have I not shown you enough faith?” These are not words spoken by the biblical Abraham. In other parts of this television series, the writers have God speak audibly. Here, however, they do not make God’s voice audible even though His words are present in the biblical account. This is a small detail but an important one; it informs the rest of how they tell the story of Abraham and Isaac. The Scriptural account has Abraham as an obedient follower of God’s command; he trusts God even in the face of this difficult request. The miniseries, however, presents Abraham as deeply conflicted. This is all speculation on the part of the writers. On the surface, the television programme resembles the biblical account; but it fails to accurately portray what the Scriptures say happened. Sarah is shown rushing to the mountain top in a series of scenes not found in the Bible. The sacrifice provided by God to Abraham in place of Isaac is not a ram with its horns caught in a thicket, as the Scriptures record, but instead a little lamb standing beside a small tree. At the very end of the story, the narrator tells us that “Abraham has passed the ultimate test” and that “he will become the father of God’s nation.” It then passes on. The book of Genesis was written by Moses, and Jesus says that Moses wrote of Him; so where is Jesus in this? If all the Scriptures were written concerning Jesus, as He says they are, then Jesus should be in this story. In the biblical story, Jesus is found in a number of ways. One way He is found is in the obedience of Isaac who goes willingly without complaint to the place of sacrifice trusting his father, just as Jesus would later do. Jesus is also found in the ram caught in the thicket, which prophetically points to the substitutionary nature of Jesus: just as the ram dies in the place of Isaac, Jesus dies for you. The television series curiously replaces this ram with a lamb. And while Jesus is sometimes referred to as the “Lamb of God” in the New Testament, there is no lamb in the biblical account of Abraham and Isaac. Why the change was necessary is unclear. The Book of Hebrews tells us that it was “by faith [that] Abraham, when he was tested, offered up Isaac, and he who had received the promises was in the act of offering up his only son, of whom it was said, ‘Through Isaac shall your offspring be named.’ He considered that God was able even to raise him from the dead, from which, figuratively speaking, he did receive him back.” From this we see that the story of Abraham and Isaac is ultimately about trust in God and the promised resurrection of the dead: Abraham knew that God could raise his son Isaac from death even if he sacrificed him. The story is also about God’s love for us. It points to God the Father’s willingness to sacrifice His beloved Son, Jesus, for us. But the Bible miniseries here and in other Old Testament stories misses Jesus and salvation history. What to make of the series? What then can be made of the Bible miniseries? Sadly, the focus is not on Jesus but instead on examples of God testing people’s goodness and leadership skills. The Bible miniseries is, in the end, more about you than it is about Jesus for you. On a technical note, the production values for the series are adequate but pale in comparison to other recent epic television and films projects. The acting is uneven and includes some cringe-inducing moments. The writing frequently moves away from the text of the Bible: there are many things subtracted and many things added to the biblical account. Fight scenes not in the actual biblical stories are added, apparently for entertainment value. And there are significant passages of biblical dialogue absent which would help the audience to make sense of the narrative. This last criticism is particularly puzzling because the producers sought out the help of Christian advisors in making the miniseries. One positive thing to note about this series is that the History Channel is notorious for airing documentaries that are openly negative and hostile towards Christians and their faith. While the new Bible miniseries is by no means perfect, it certainly isn’t deliberately negative in the way some other programs on that channel are. 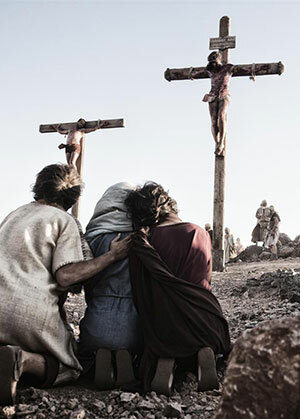 The question then is this: “Did the Bible miniseries do what it intended to do? Did it fulfill its purpose?” Mark Burnett’s desire to stem the tide of "biblical illiteracy" is not greatly helped by this miniseries, unless it gets people interested in reading the actual book itself. If it sends people back into the pages of the Bible to see what’s there, then maybe it will have served its purpose. It would be great if people young and old could be encouraged to pick up their Bible and do some fact checking while they watch the production. If you are planning to watch or are watching this miniseries, be careful to use viewer discretion; it is both advisable and recommended. You can also use the series as an opportunity to encourage others to read their Bibles and get involved with a Bible Study in their church. Does the series succeed in staying “true to the spirit of the book,” as it claims in its initial disclaimer? That question requires discernment. Thankfully, you are blessed to have God’s actual written Word to see for yourselves. Rev. Ted Giese is associate pastor of Mount Olive Lutheran Church in Regina, Saskatchewan.